2. Picking rare silver coins over silver bullion coins and bars is not a wise decision unless you are an absolute numismatic professional. The value of silver numismatic coins is derived from silver content and additional rarity value that could be very volatile and hard to assess. 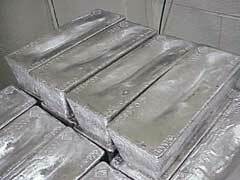 On the other hand, if you buy silver bullion online or through a silver dealer, you will be paying only for silver content value plus premium charges. American Eagle silver bullion coin is one of the best choices available on the silver market. 3. Buying from multiple locations is always a mistake to avoid. If you make your gold and silver investment just from one reputable dealer, you will be paying bulk rate prices vs. multiple mark ups if buying from separate places. 4. Putting all eggs in one basket. You investment portfolio should be well-diversified even when it comes to silver investing. The best silver investing advice you will get is not putting more than 10% or your portfolio into precious metals market to safeguard yourself from market price fluctuations. 5. Not having a clear silver investing plan where you define your financial goals and your risk tolerance in a well defined time frame is a mistake to avoid. 6. Not understanding the cyclical nature of any type of investment is a mistake that could be also applied to the silver market. Buying silver when the prices are on the rise due to silver rush is definitely not a good move. Staying realistic and in the know of the overall market situation is the best piece of silver investing advice. 7. Failing to understand that investing into silver is not just buying physical silver bullions. On the contrary, modern day silver investing advice calls for diversification even within your silver investment portfolio. You can choose silver certificates, silver futures, silver ETF and silver stocks. Understanding the difference is your long term key to success. 8. Failing to take into consideration Capital Gains tax on collectibles and selling your silver commodity sooner than one year ownership mark is up. This mistake can cost you paying a whopping 35% of your total gains to Uncle Sam. Make sure you keep your silver investment for at least a year to avoid paying under a higher tax bracket. 9. Sending your silver scrap to any online “cash for gold” places. This will result in you getting a fraction of your true scrap silver value. Instead, choose to go to your local precious metal refinery where you could get more cash or even turn in your unwanted silver into silver bullions. 10. Not consulting a financial advisor or a knowledgeable person before you invest in silver. Our final piece of silver investing advice has to do with talking to a person with experience in silver investing in case you are just starting out in this field. If you want to learn gold investment advice, scroll over to read other articles on the subject.